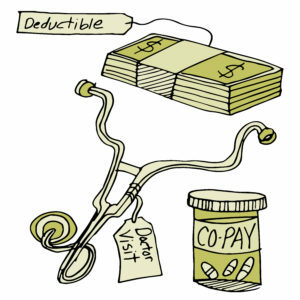 Deductible, premiums, and benefits are some of the most complicated health insurance terms. Each term has specific meaning and we are going to help you sort it out. If you don’t have a primary care physician, use our Find A Doctor tool. It’s easy, it won’t cost you any extra money, and it will help identify any problems early on. If you cover dependent children on your plan, their yearly eye and dental exams are covered, too. If you had a health problem before your health insurance took effect, then you have a pre-existing condition. Common pre-existing conditions include asthma, cancer, high blood pressure, and diabetes. We won’t refuse to cover you or charge you a higher rate because of your pre-existing condition. Preventative care is an important part of your overall health plan. Don’t let disease sneak up on you. Preventative care might just save your life. Learn more about preventative care for men, women, and children. 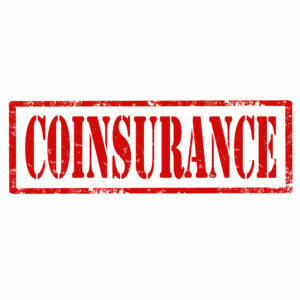 Here's a Real-Life Example: Let’s say your deductible is $3,000, and your coinsurance is 80/20. Each time you visit your doctor or pick up prescription medicine, you’ll pay the full amount owed to the doctor or pharmacy. When your doctor visits and/or medicine total $3,000, Blue Cross NC will start paying 80% of these costs, and you’ll be responsible for 20%.